Charles Teader is re-introducing the former Tramalan white metal 00 scale tram kits under the name Majestic Trams. The kits are for body only and do not include motor units. As with their Tramalan predecessors, these kits include a wire trolley pole or a dummy bow collector as appropriate, but do not include decals. Glasgow Cunarder, made by David Voice. Glasgow Sand & Sett works car. Sheffield Dome Roof Car, made by David Voice. Glasgow 1089 "Baillie Burt", made by David Voice. Raworth Demi Car as in Erith, made by David Voice. Hong Kong 1950s style car, made by Helmut Gieramm. 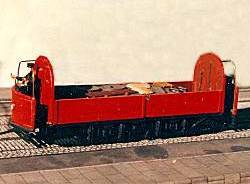 Leicester Water Car, made by John Prentice. 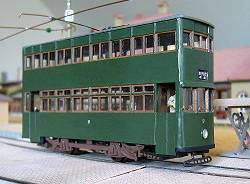 Blackburn Milnes bogie double-deck tramcar at £44. Eades Reversible horse tram at £44. Glasgow 1089 "Baillie Burt" bogie single-deck tramcar at £44. 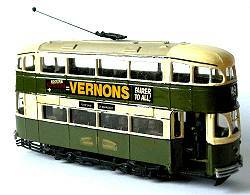 Glasgow Corporation "Cunarder" bogie double-deck tramcar at £44. 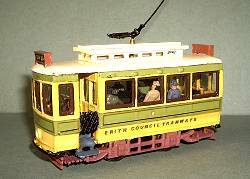 Glasgow Duntocher 4-wheel single-deck tramcar at £44. 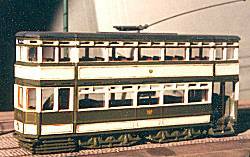 Glasgow Kilmarnock Bogie double-deck tramcar at £44. Glasgow Sand & Sett works car at £44. 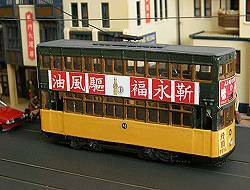 Hong Kong 1950s Standard 4-wheel double-deck tramcar at £44. J.G.Brill Snow Broom works car at £44. Leeds "Lance Corporal" 4-wheel double-deck tramcar at £44. Leeds Middleton Bogie double-deck tramcar at £44. 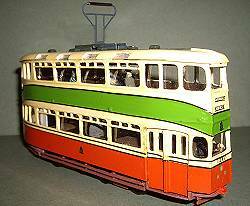 Leeds Railcoach 601/602 bogie single-deck tramcar at £44. Leicester Water Car works car at £44. 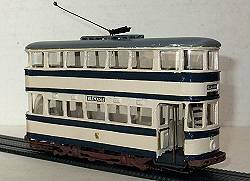 Liverpool "Baby Grand" 4-wheel double-deck tramcar at £44. 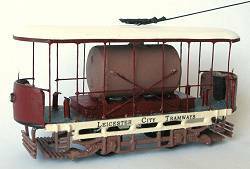 London LCC/LT Wheel Carrier 011/012 4-wheel works car at £39. 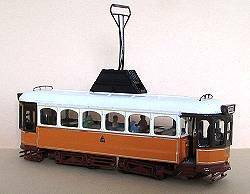 Raworth Demi Car 4-wheel single-deck tramcar at £44. 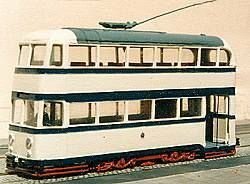 Rotherham Single Ended 4-wheel double-deck tramcar at £44. Sheffield Dome Roof Standard 4-wheel double-deck tramcar at £44. Leeds Snow Broom works car at £44. 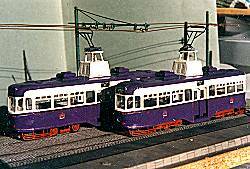 There is an article by John Prentice on building Hong Kong tram kits, first published in the TLRS's Tramfare magazine. 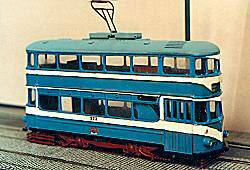 There is an article by John Prentice on Raworth demi-cars with particular reference to the Majestic kit, first published in the TLRS's Tramfare magazine. Majestic Trams operates "Mail Order" only and does not operate a shop or have facilities for visitors. 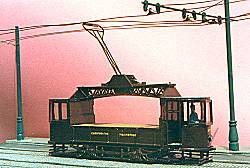 Majestic Trams kits can be obtained on-line from TLRS On-line Sales.